Francis Ford Coppola's North Beach restaurant is one of the best celebrity-owned restaurants in the country. While San Francisco may not be home to the likes of Justin Timberlake or Eva Longoria Parker, the City still houses two of the best celebrity restaurants in the country. Online travel site TripAdvisor released its list of the country's top 10 celebrity-owned restaurants in the country. Professional kitchens run by the likes of Robert DeNiro are recognized for their mouth-watering food, atmosphere, service and of course celebrity endorsements. Representing the Bay Area on the list were San Francisco's Visions of Vietnam and Cafe Zoetrope. Don Johnson and Cheech Marin stopped filming "Nash Bridges" in the City years ago but the show's culinary imprint still remains. The longtime friends opened the restaurant as a joint venture in Fisherman's Wharf while filming the show. 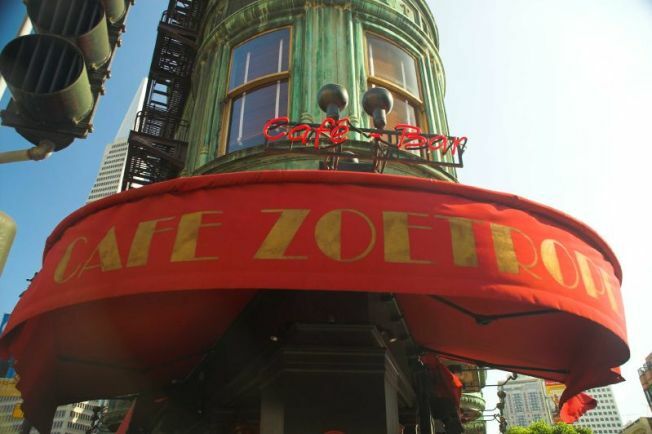 North Beach's Cafe Zoetrope is of course the brainchild of "Godfather" director Francis Ford Coppola. Located in the historic Sentinel Building in the most Italian part of San Francisco, Cafe Zoetrope serves classic dishes from the mother land while serving up classic movie memorabilia. The full breakdown of celebrity dining hot spots is available on TripAdvisor's website.